Pallet furniture is on trend and rightly so, as these products are so versatile! This Pallet Furniture fits wonderfully into a number of themes from English Country Garden to Industrial and much more! Not only are these visually pleasing, they are practical and comfy giving your guests the perfect place to pop their feet up. We offer a full Pallet Furniture Collection including Single Cube Seat, Bench, Sofa and Coffee Table. 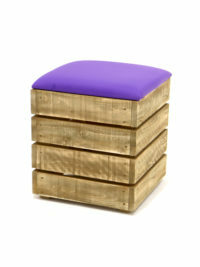 The seats pads are interchangeable and we offer these in both Grey and Purple. 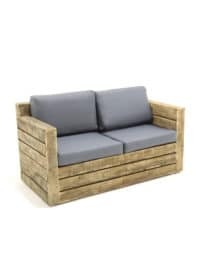 Pallet furniture is on trend and rightly so, as these products are so versatile! 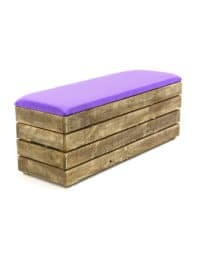 This Pallet Furniture fits wonderfully into a number of themes from English Country Garden to Charlie and the Chocolate Factory and much more! 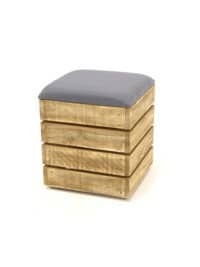 Not only are these visually pleasing, they are practical and comfy giving your guests the perfect place to pop their feet up. 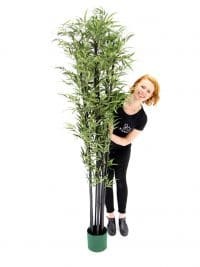 Bamboo Palm prop to hire. 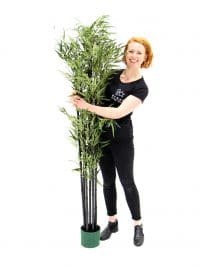 Our Bamboo Palms have lovely green bamboo stems and traditional palm leaves and is perfect for general foliage theming where you may want a cool Caribbean, beach or jungle vibe. 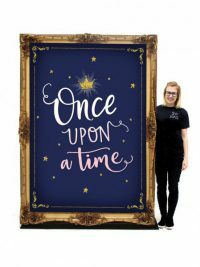 This lovely Fairytale style sign is the perfect prop for your Fairytale or Storytelling themed event or party; and the frame is completely frestanding! Pirate Treasure Map for hire. What treasure will guets find at your Pirate themed event? 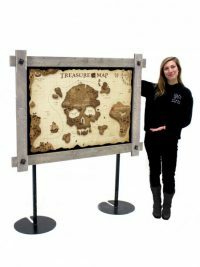 Our Pirate Treasure Map is a great prop to help create the pirate theming for your event. For a small additional charge we can personalise the map for your event; simply speak to a member of the sales team for details. 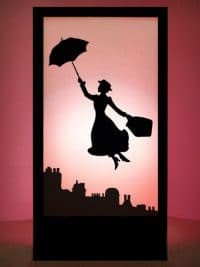 Mary Poppins Silhouette Panel to hire. 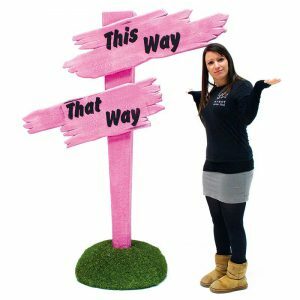 Perfect for your Mary Poppins themed party or event; our silhouette panels are supplied with a colour changing parcan light. All supplied Parcan lights have a 1m lead and it is the responsibility of the client to provide extension leads if longer leads are required. 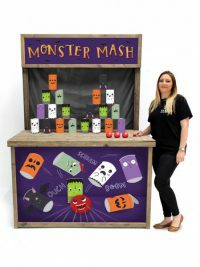 Tin Can Alley Halloween Fairground Game for hire. Roll up roll up! 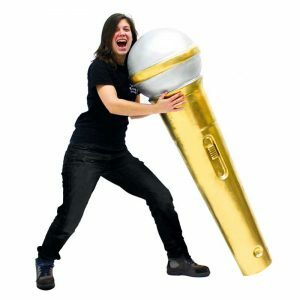 Test your aim with our Tin Can Alley Halloween themed fairground game. 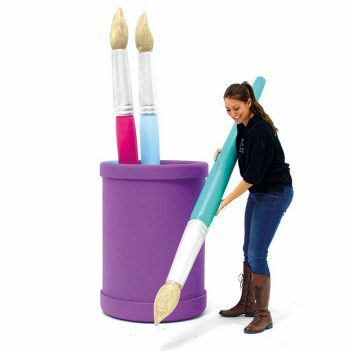 Impress your guests and try to knock as many cute monster themed tin cans off as you can with the supplied balls. 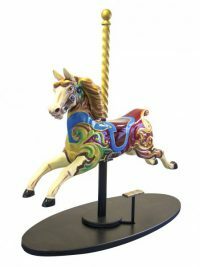 Take a look at our full range of Fairground Games here; they really add a fun element to your party. Superhero Welcome Sign for hire. 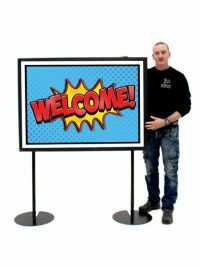 Welcome your guests in style with a Superhero themed sign at the entrance to your event. 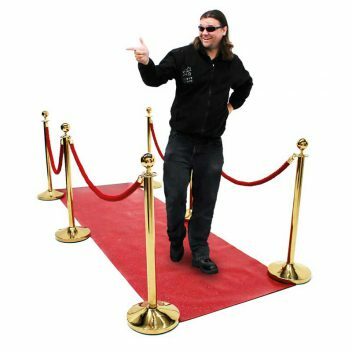 We've also got a smaller option and a VIP Entrance for hire, or the same options available in red (see below). We also have some fab comic book BOOM, KAPOW, ZOING and KA-BOOM signs to hire – take a look at the pictures below! 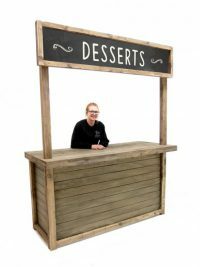 Desserts Food Stall to hire. 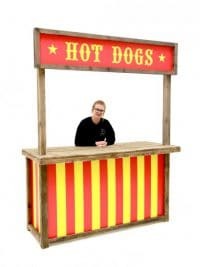 This is a fabulous rustic looking food stall; perfect for any themed event. Speak to us if you would like a different country header to your food stall. 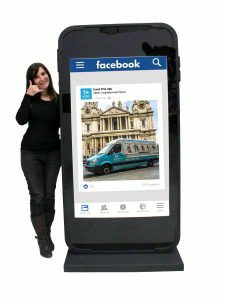 In fact the sign, front and side panels can all be customised for your event; simply give us a call for details. 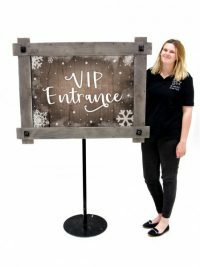 Rustic Framed VIP Entrance Sign (Snowflake) for hire. 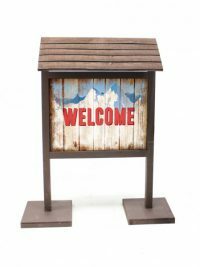 Welcome your guests in style with this sign; the perfect added extra for your Apres ski or Winter themed party or event. Alpine Style Welcome Sign for hire. Welcome your guests in style with this sign; the perfect added extra for your Apres ski themed party or event. Flamingo Croquet Game to hire. 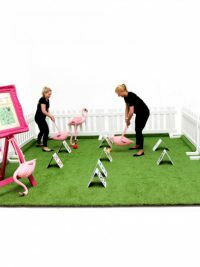 Perfect for entertaining your guests at any Alice in Wonderland themed event or party; this flamingo croquet game comes complete with everything pictured here – a 4m square grass playing surface, picket fencing, card pyramids, framed rules, balls and four fabulous flamingoes, which inverted become your playing mallet! 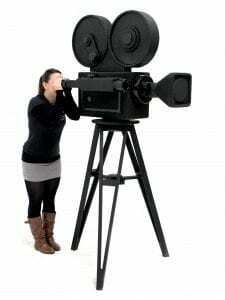 Alpine Chalet Backdrop to hire. This fabulous fabric backdrop depicts the interior of an Alpine chalet, complete with lovely mountain view through the chalet 'windows'; the perfect backdrop for any Apres Ski or Winter Wonderland themed event. Alpine Lodge Entranceway to hire! This rustic-looking Alpine Lodge Entranceway would make the the perfect entrance to any Apres Ski or Winter Wonderland themed event! 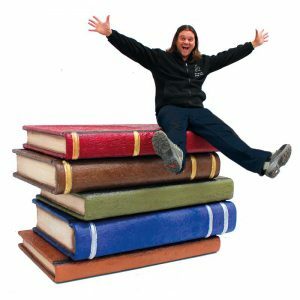 So make sure you wrap up warm and take a look at the rest of our Apres Ski themed props here! Indian Food Stall to hire. Halloween Welcome Sign for hire. 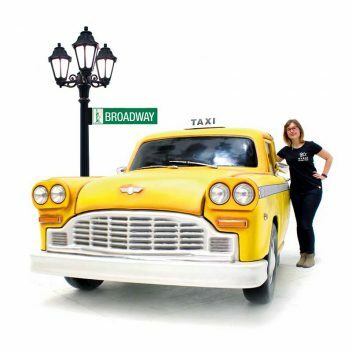 This ornately decorated sign is the perfect prop to hire for welcoming your guests in style to your themed event. The frame sits on a freestanding A-Frame easel and is also available with a silver frame (under code SN3882). We have in-house design and print facilities so if you would likea custom VIP sign for your event then please give us a call to discuss your requirements. Mugshot Peep Thru Board prop to hire. Gotcha! 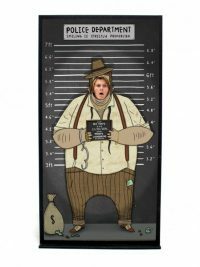 This freestanding peep thru board is perfect for any Gangster or cops & robbers themed party or event! Circus Strong Man Peep Thru Board to hire. 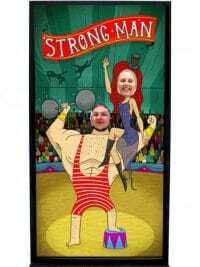 This peep thru board depicts a strong man and his glamorous assistant and is sure to provide a fantastic photo opportunity at your circus themed event or party. The prop is completely freestanding and is one in a series of fun circus themed peep thru boards (pictured). 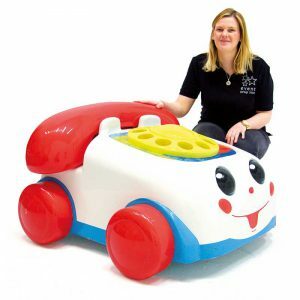 Please note that for a small extra charge we can create a fully customisable peep thru board; simply speak to a member of the sales team for details. 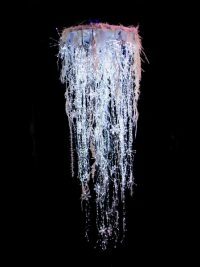 Take a look at this beautiful chandelier; perfect for elegant Winter, Fairytale or Narnia themes or in fact anything snow or ice related! The chandlier is lit in cool white LED lights, with an array of clear and irridescent icicle and snowflake dressing pieces and garlands suspended amongst the lights. Please note that a little bit of time will need to be allocated to re-arranging the hanging elements of the chandelier once the chandelier has been unpacked. The chandelier can be rigged directly from the top ring where four lifting eyes are situated, or it can be rigged using catenary wires attached to the eyebolts. The chandelier will be supplied with wire rope slings to make up a bridal configuration. A safety line will also be supplied. The chandelier will be powered by a 16amp male plug. This chandeliers will arrive in a 1m x 1m crate, which the client will need to store during the event. Art Deco Flame Light for hire. 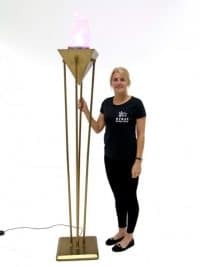 This is a lovely floor-standing flame light; perfect for all themes where you want a touch of elegance and glamour. 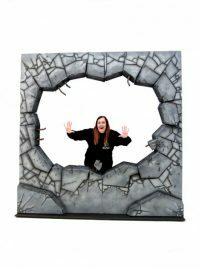 Exploded Wall Backdrop to hire! 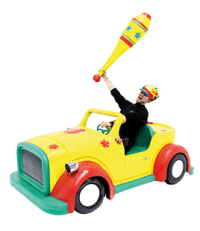 This is a great prop that would be perfect for creating a fun photo opportunity or to use as an urban backdrop to your Superhero, Industrial or Fairytale themed event or party! 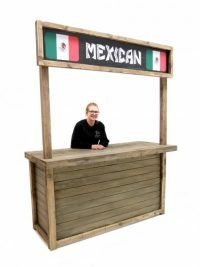 Mexican Food Stall to hire. Hot Dogs Food Stall to hire. Comedy / Tragedy Masks for hire. 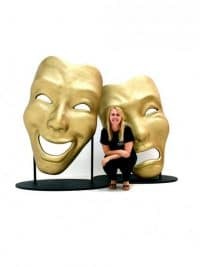 Traditionally always appearing together, the combination of the iconic Comedy & Tragedy masks originated with ancient Greek theatre, but are still used today to represent theatre and drama, so, we decided to honour that by creating a little drama of our own! Hanging Arabian Lanterns to hire (Set of 3). 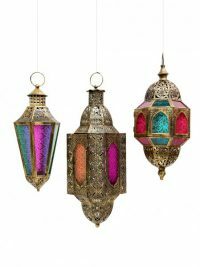 These are beautiful hanging lanterns crafted from ornate metal work, with pretty coloured glass; perfect for any Arabian or Moroccan themed event or party. You will receive a mix of styles, similar to those pictured. For other lantern options why not take a look at our full range here . Please note that style of lanterns we hold is varied and the three you receive could be different to those pictured. 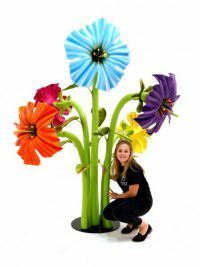 Also, the lanterns do not come with candles; simply speak to a member of our sales team if you would like to hire our replica battery operated candles. 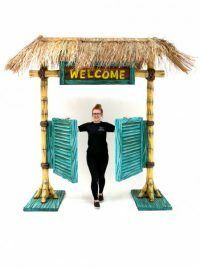 What a stunning prop this would be at the entrance to your Caribbean or Beach themed event or party. 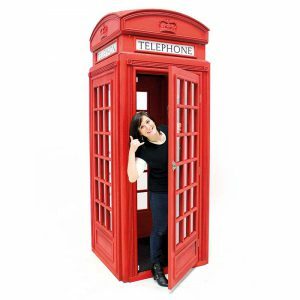 With saloon style swinging doors this prop really would welcome your guests in true style. Please check with your venue prior to hiring this item that you are OK to use it as it has a dried grass roof and fire officers have been known to be unhappy about this material being used! Toadstool Poseur Table for hire. 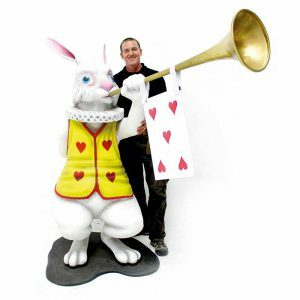 This gorgeous poseur table has been handcrafted by our talented team and is perfect for your Alice in Wonderland themed event! 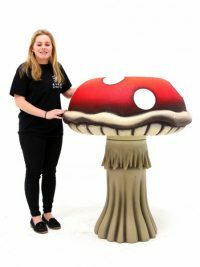 Why not also hire our toadstool table and stools set (below), or how about some of our freestanding giant toadstools and mushrooms? 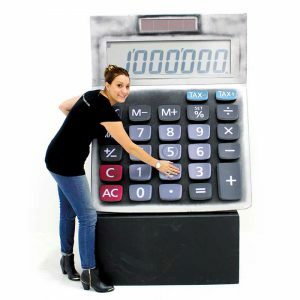 We've so many different props to help you create an amazing themed event. Boulder Water Feature for hire. 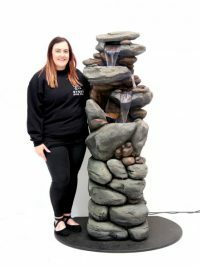 This lovely water feature will look amazing at so many different themed events, from Jungle to Park or how about for a Pirate or Fairytale event? Add in some of our jungle foliage for a really effective water feature area. Freestanding Medieval Banner to hire. 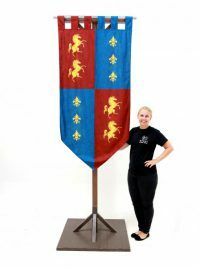 This is an attractive Medieval Banner, printed on double sided cloth and designed to be hung on the pictured banner stand, although you can hire it without the stand if you prefer to hang it via the tabs using your own system. This product code is for the banner stand at 3m high, but we can offer it at 2.4m high also (both pictured); simply let a member of the sales team know which you would prefer. Take a look at our other Medieval Banner options (below); they look great as a collection (pictured opposite).